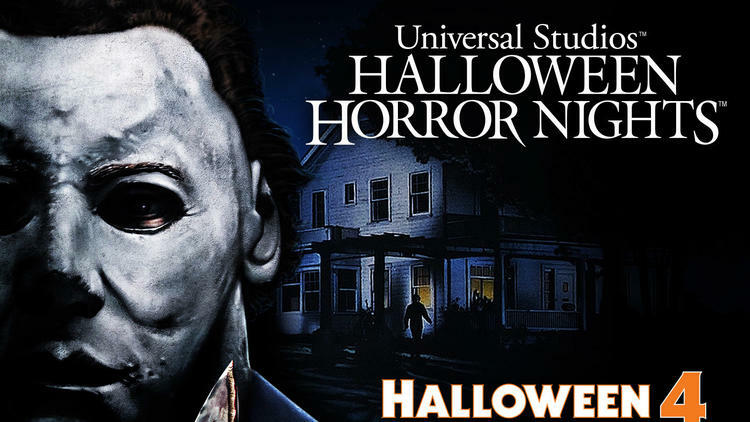 The Year of the Shape continues atUniversal Studios’ Halloween Horror Nights with all-new attractions based on Halloween 4: The Return of Michael Myers being featured at both the Hollywood and Orlando parks this year, and a behind-the-scenes tour of the maze has just been released online. This year marks the 40th anniversary of the original Halloween as well as the 30th anniversary of Halloween 4, and Universal Studios is getting into the spirit with a new maze at Hollywood and different new haunted house at Orlando. Inside the Halloween 4 haunted house at the Orlando park, you’ll be dropped right in the middle of Michael Myers’ path, where he is on his way to eradicating his niece. He takes out everyone in his way…and you’ll be right in the middle of the action. Try your best to escape the bloodbath – not even Loomis, Myers’ psychiatrist, can save you. Halloween 4 joins the previously announced Trick ‘r Treat, Stranger Things, The Purge, and Poltergeist 2018 attractions, among others. You can watch a behind-the-scenes tour of the Halloween 4 maze at Universal Studios Hollywood in the video below.